Bromos of the Week: Jarrod Chlapowski and Alex Nicholson | bromo t.o. Jarrod Chlapowski and Alex Nicholson, US Army veterans and the founders of Servicemembers United, are this blog’s first Bromos of the Week. 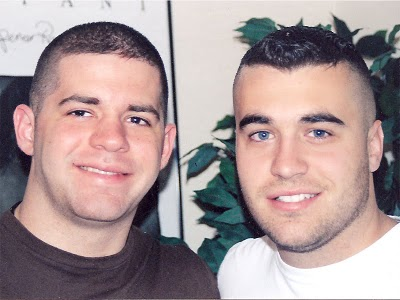 SU was an instrumental advocacy group during the fight to repeal DADT, the policy that ended both of their careers: Chlapowski chose not to re-enlist under the now-defunct policy and Nicholson was discharged under it. A former US Army Korean Linguist and former U.S. Army Human Intelligence Collector respectively, they served both as a reminder of the talent lost under DADT and as vocal advocates during the repeal process. American soldiers can thank these to bromos for not going quietly, and advocating with class and dignity against the policy. As a bonus, the two are a couple. Potentially one of the most brotastic couples of all time.